If you plan on owning your car for an extended period of time, there are going to be some things that you have to accept. Maintenance fees are going to be a given, as are problems with the engine that will come no matter how well you look after your vehicle. There is also a very good chance that rust will rear its ugly head, especially if you live in a part of Australia where you are close to the ocean. Yes, we are looking at you, residents of the Sunshine Coast. The good news is that rust is something you can actually combat, and all without having to spend a small fortune in order to do so. Do a quick Google search for rust proofing Australia and you are likely to find all kinds of home remedies awaiting your perusal. One of the more common, albeit slightly odd, suggestions that you will find is fish oil. Not only can you get your fair share of Omega-3’s with that wonderful stuff, you can apparently also use it for rust proofing your car. By all accounts, it works pretty well, but you are left with a car that smells uncannily like a tuna after the fish oil has been applied. Lanolin is another substance that you may find mentioned, with the biggest downside of that being that it tends to attract stuff to your car like a magnet. Perhaps not the best option for those of you who live near a sandy beach. 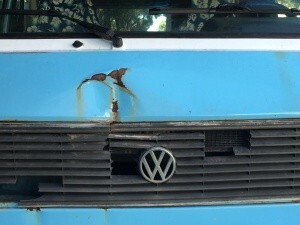 There is also a lot of information about electronic rust protectors online, but the general consensus there is that they only really delay the inevitable as opposed to acting like an actual rust barrier for your car. Since the 3 most commonly discussed rust proofing options all seem to come with rather negative downsides, you might think that your poor old car is doomed to one day becoming a rust bucket. That is actually not the case at all, as there is a rust proofing product on the market that is routinely used by the US Navy. If they slap this stuff on their ships that are constantly out at sea, then surely it will work for your vehicle, too, right? The answer to that question seems to be a very definite “YES,” as the number of people who have seen great results when using this amazing product is constantly on the rise. What we are talking about here is Rust Bullet, a rust proofing product that is indeed the same one used by the US Navy on their vessels. 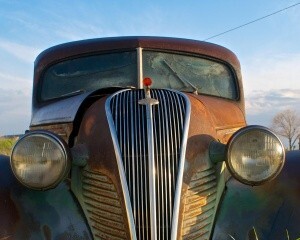 Rust Bullet doesn’t just protect your car; it stops corrosion dead in its tracks. You have to ask yourself this question before you try rust proofing your vehicle: do you want to use some home remedy that might work, or do you want a product that the US Navy uses to protect their vessels from rust? We believe that answer to be a no-brainer.